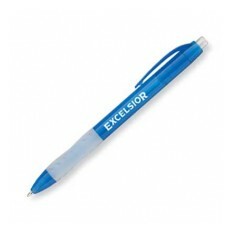 When you’re looking for a pen that has a smoother, more opaque writing ink, our Promotional Gel Pens are the way forward. 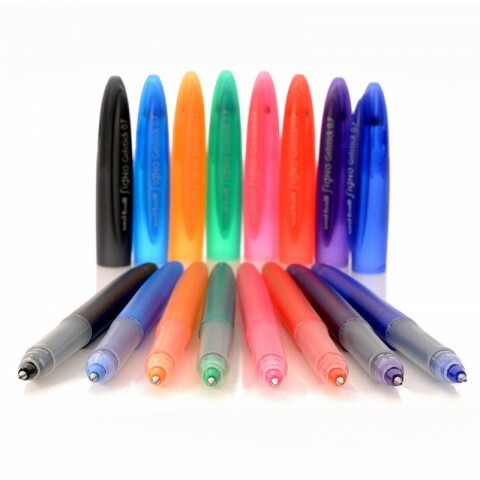 Personalised Gel Pens make a great alternative to traditional rollerballs and ballpoints due to the thicker ink that they contain. 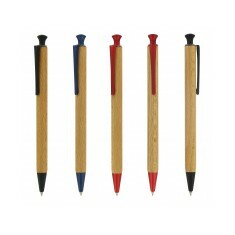 We even do a customised gel pen that comes made from wood if you’re looking for a premium finish rather than the usual plastic. 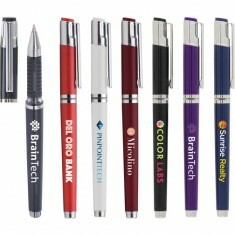 Branded with your design these custom printed gel pens are sure to catch the eye of any of passersby and make great handouts for events, schools and even for putting into your gift store. Designed with a rubber grip and with plenty of colour options, our custom printed PromoMate Gel is easily one of our favourite from this range. 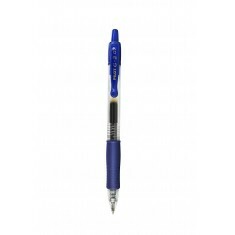 This personalised gel pen is available in plenty of colour choices and comes with a high quality black gel ink refill making it ideal for offices and receptions. 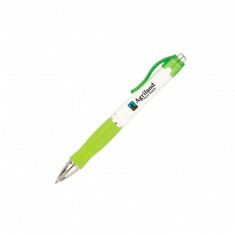 Printed in spot colours, this product has an outstanding branding area for you to fill with your company logo. Use our quote basket to find out how much your personalised gel pens will cost. Official Uni-Ball product. 8 colour choices available. Smooth writing quality. New from Paper Mate the Chill is the latest addition to their fast-selling Gel..
Plunger Action Retractable Gel. Frosted gripping section and chrome plated acc.. 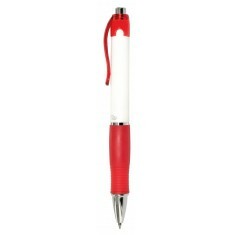 Enjoy a pleasurable writing experience with our Custom Branded PromoMate Gel P..
Official Paper Mate product. Gel ink writing system. 5 barrel colours, 6 grip colours. 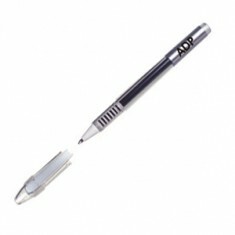 Functional gel pen from the Styb range of quality pens. 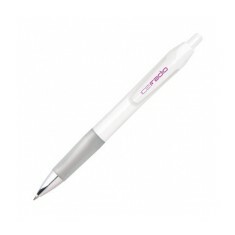 With a printed alumini..
Keep your writing neat with our custom printed BIC Intensity Gel Clic Pen! Thi..
100% sustainable wood material. Gel ink. Trim colour denotes ink colour. Official Pilot pen. Ergonomic grip. UK stocked. Express turnaround. Available in black or blue. 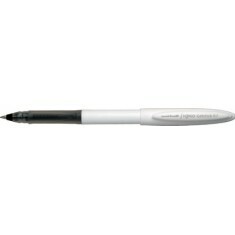 Smooth-writing gel pen with a traditional, upscale design. It features a soft .. 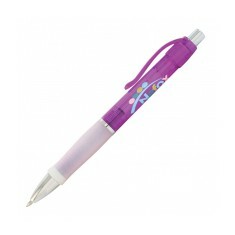 Vibrant gel ink to match the pen colour ensures Gelstick is the perfect choice..